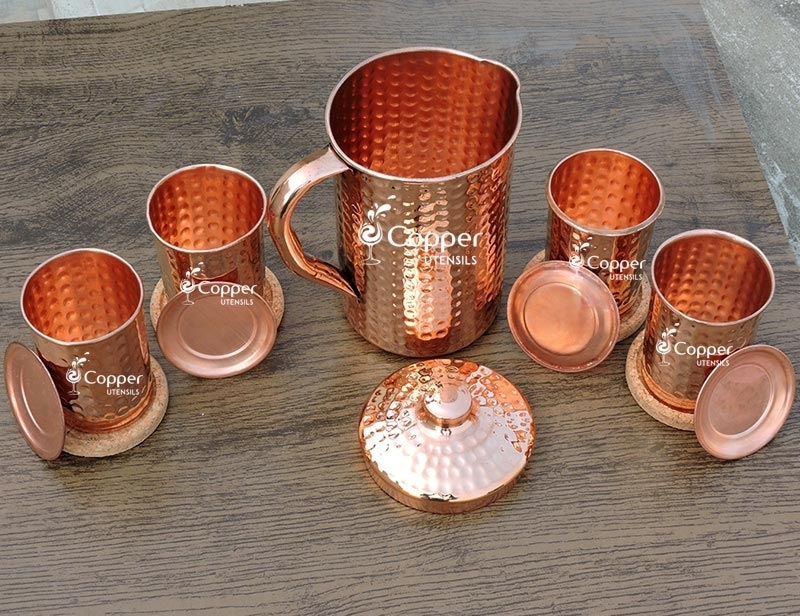 Made from pure, unadulterated copper. 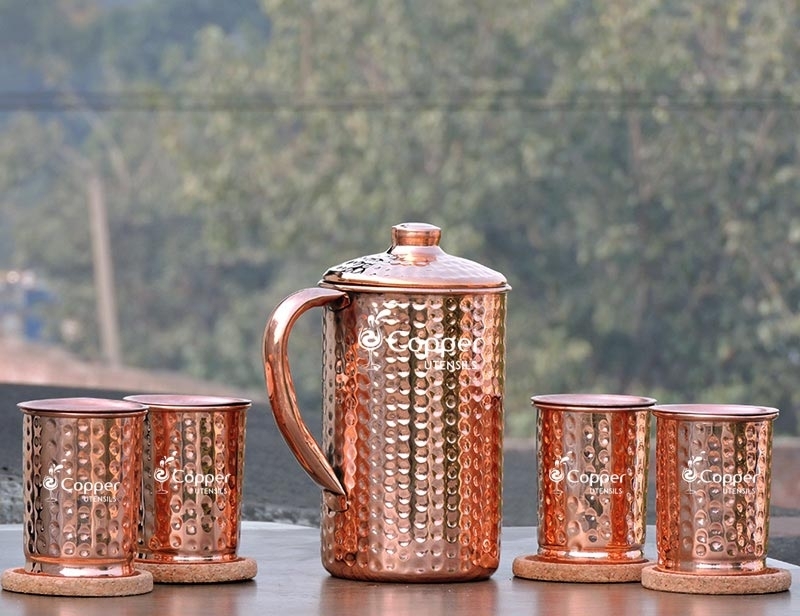 Hand hammered to give an authentic feel and look. The set comprises of one jug and four glasses. All the components of the set come with matching lids. 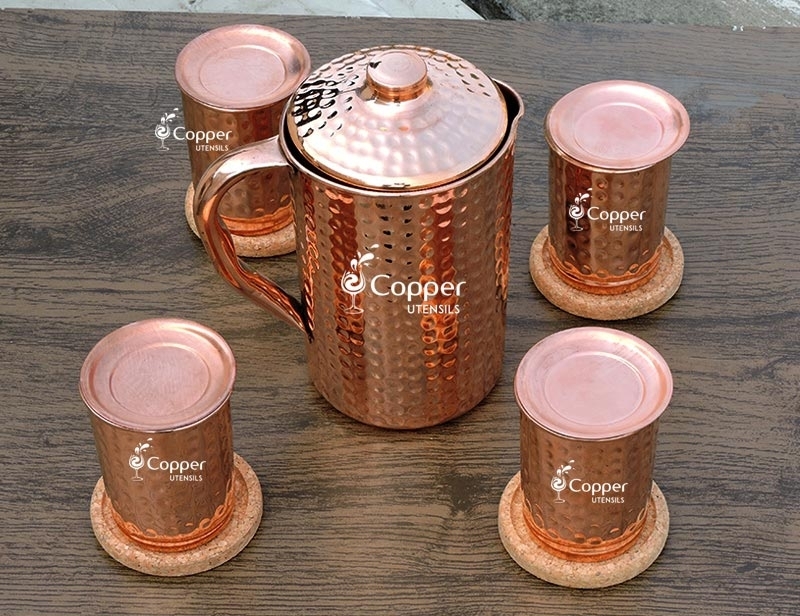 Free coasters with this set. 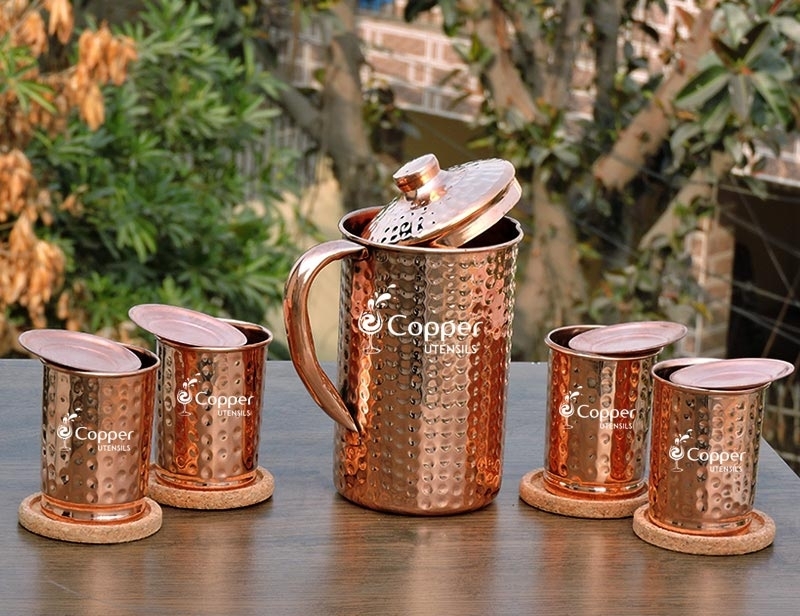 Back in the ancient era, when water purifiers were nowhere to be found, water was stored in copper utensils to get rid of any impurities. 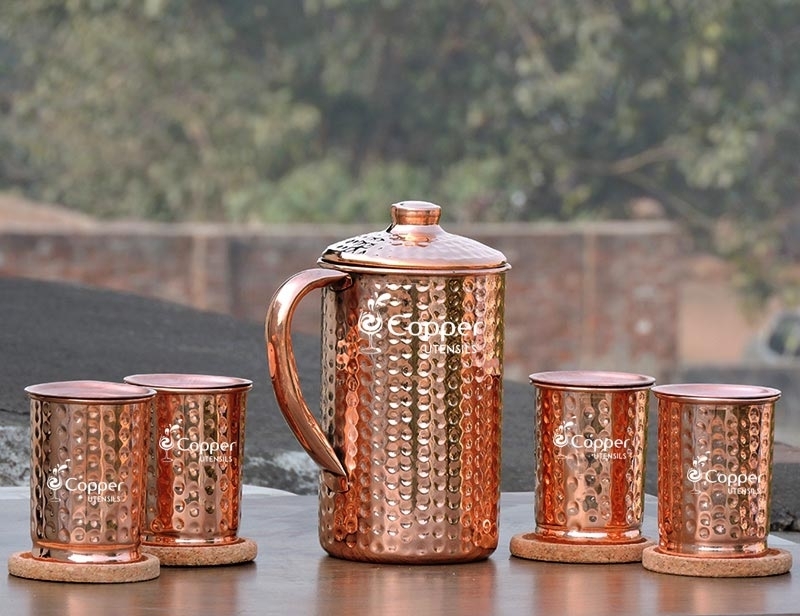 Copper has naturally occurring anti-bacterial and anti-microbial properties which help in killing the bacteria or other microbial bodies present in the water. 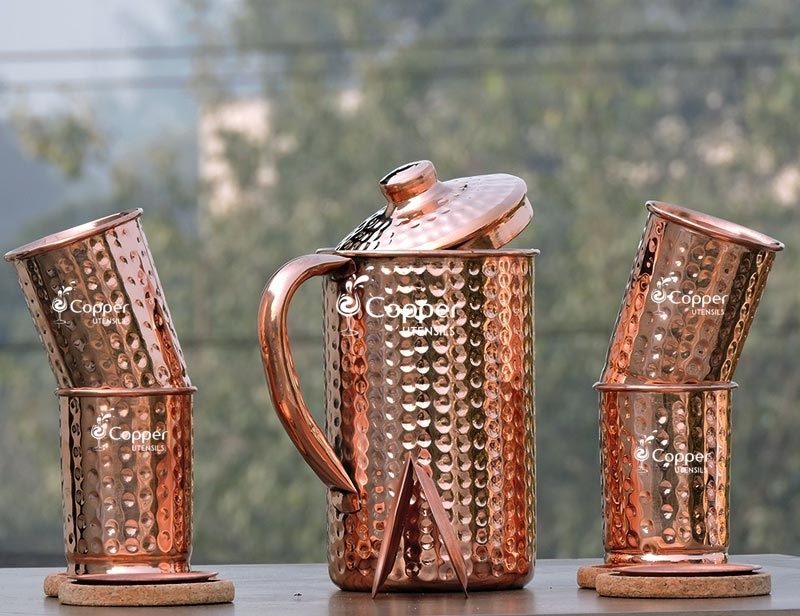 Along with that, water stored in copper utensils gets loaded with copper particles which aid in the prevention of deadly diseases such as cancer. The design is nice and the product of good quality. I bought 2 more for my family also and they are very happy with it as well. It took very long to get the product delivered. But other than I Love this pitcher. Well made. Even comes with easy cleaning instructions. Love it! 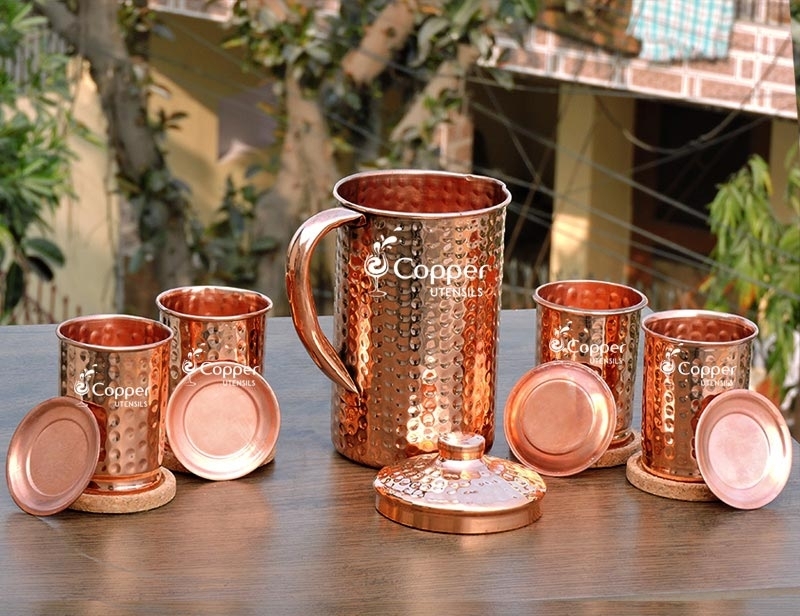 Feel like I am living in Bible days when I drink from my copper vessel! Value for money. The product is good but needs to clean it at a regular basis. I am enjoying my set and plan to give the second as a gift. I bought it to get me drinking more water for an ayurvedic benefit. I clean it with table salt, lemon juice, and a little flour to make a paste. I massage the paste onto all surfaces and let sit, then rinse and wipe briskly to dry. 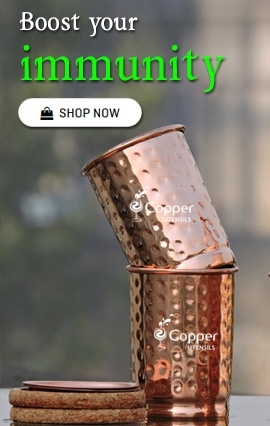 Till date, I did not meet any challenge with the quality of this product. So it is good. 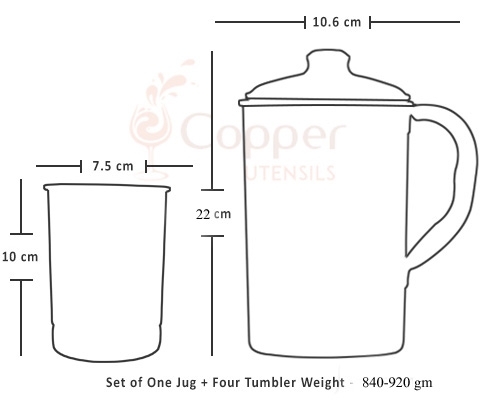 The thickness of the jug is excellent.N ice product at a reasonable price.